Praveen joined Watsi on July 20th, 2015. 63 other people also joined Watsi on that day! Praveen's most recent donation supported Myint, a man from Burma, to fund bladder surgery. Praveen has funded healthcare for 36 patients in 11 countries. Barrack is a baby from Kenya. He is the youngest in a family of two children. One year ago, Barrack sustained burns on his right elbow after boiling water spilled on his hand. He cannot straighten or bend his hand fully. Fortunately, our medical partner, African Mission Healthcare Foundation, is helping Barrack receive treatment. On August 6, surgeons at their care center will perform a burn contracture release surgery to help him use his hand freely. Now, his family needs help to fund this $799 procedure. “We have been looking for help concerning my son’s condition and are still waiting for help. My desire is to see his hand straightened and able to do his work independently," says his father. Soklin is a potato farmer from Cambodia. She has two children. She enjoys watching television programs. Soklin has strabismus in both eyes. Strabismus is a misalignment of the eye caused by injury or dysfunction in the associated nerves and muscles. It causes her discomfort, and she has difficulty seeing clearly. Soklin traveled to our medical partner's care center to receive treatment. 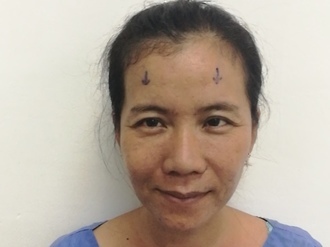 On March 6, surgeons at our medical partner, Children's Surgical Centre (CSC), will perform a corrective procedure to align her eyes. Now, Soklin needs help to raise $292 to fund this procedure. She says, "I hope my eyes will look and feel better after the surgery." 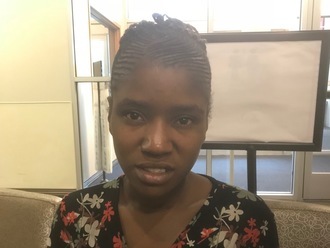 Luciennie is a young woman from Haiti. She lives with her mother and two sisters in a neighborhood of Port-au-Prince. She stopped her studies several years ago due to her heart ailment, but hopes to return to school once she is feeling better. Luciennie has a cardiac condition called rheumatic mitral regurgitation. She suffered an untreated strep throat as a teenager, which infected the valves of her heart and caused them to become severely damaged. As a result, they cannot adequately pump blood through her body, leaving her fatigued and short of breath. Luciennie will fly to the United States to receive treatment. On March 29, she will undergo cardiac surgery, during which surgeons will attempt to repair her damaged valve if possible. If not, they will implant an artificial valve to replace it. Another organization, The Heart Hospital Baylor Plano, is contributing $60,000 to pay for surgery. Luciennie's family also needs help to fund the costs of surgery prep. The $1,500 bill covers labs, medicines, and checkup and followup appointments. 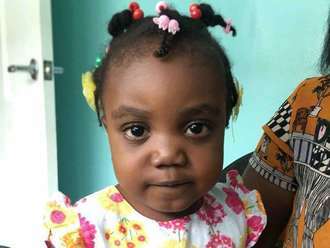 It also supports passport obtainment and the social workers from our medical partner, Haiti Cardiac Alliance, who will accompany Luciennie's family overseas. She says, "My family and I are praying for everyone who is helping me!" 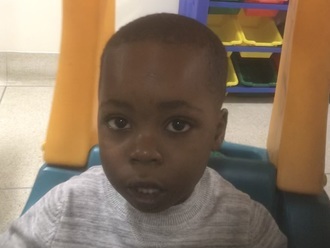 Kervens is a toddler from Haiti. He lives in a small town in far northern Haiti with his mother and grandmother. He likes playing with the children in his neighborhood and helping his mother around the house. Kervens has a cardiac condition called ventricular septal defect, in which multiple holes exist between the two lower chambers of his heart. Blood leaks through this hole without passing through his lungs to obtain oxygen, leaving him sickly and weak. He will fly to Toronto to receive treatment. On March 7, he will undergo cardiac surgery. Another organization, The Herbie Fund, is contributing $45,000 to pay for surgery. 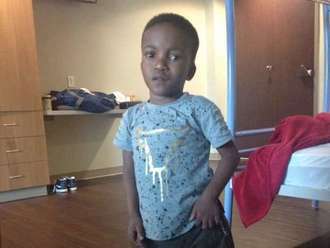 Kervens's family also needs help to fund the costs of surgery prep. The $1,500 bill covers labs, medicines, and checkup and followup appointments. It also supports passport obtainment and the social workers from our medical partner, Haiti Cardiac Alliance, who will accompany Kervens's family overseas. His mother says, "I am very excited for Kervens to have more energy and to get sick less often after his surgery." Wislande is a 48-year-old woman from Haiti. Wislande has five children. Her family lives in Port-au-Prince. Wislande used to work as a street merchant before she became ill. Wislande enjoys attending church and participating in the activities with her church. 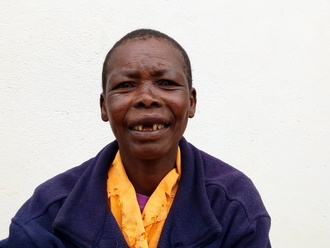 At our medical partner's care center, Wislande was diagnosed with breast cancer. She will have to undergo a double mastectomy, since the cancer has now spread to her right breast. As a result of her illness, Wislande cannot wash her clothes or clean the house. She also cannot work and support herself. Fortunately, in May 2017, Wislande started chemotherapy. After four sessions of chemotherapy, Wislande will undergo a double mastectomy on August 26. Our medical partner, Innovating Health International, is requesting $1,085 to cover Wislande's procedure. This will cover the full cost of treatment, including labs, medication, physician and nurse time, radiology, supplies, and travel expenses.